Don't forget these top 5 trekking items on your Himalayan trip! 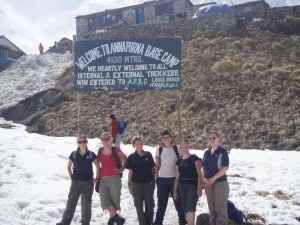 Top 5 trekking kit items not to be forgotten! Simply type ‘Top 5 trekking kit items’ into your search engine and you’ll get endless pages of results reminding you of the importance of taking clothes, walking boots, a jacket… this list goes on, most of which, you will have already considered if you are planning a trek in the Himalayas! Water purifying tablets – use these to treat the water in your bottle or platypus/camel back system and make it safe to drink from a local water source. They are a great money-saving idea and, more importantly, help to reduce the amount of wasted plastic bottles left scattered across the Himalayan mountains. A good quality 3 or 4 season sleeping bag – possibly an obvious one but we cannot stress it enough! 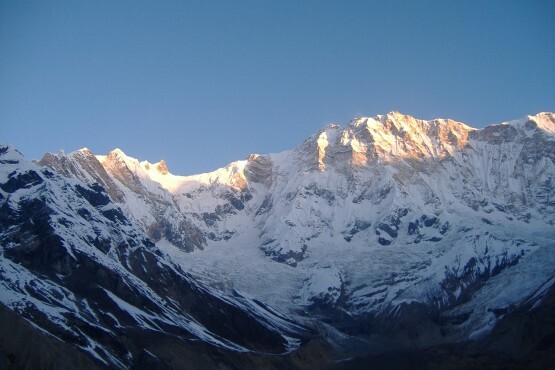 At some altitudes temperatures fall to well below freezing and you will want a good nights sleep for the long day of trekking that awaits you! Alcohol hand gel – this is really handy and helps prevent ‘Delhi belly’! Take a little bottle along and you won’t need to wash your hands if facilities are not available. Nepali phrase book – on your trek you will no doubt pass through a few traditional villages. Impress the locals and your guide by learning a little Nepali and keep a phrase book handy – it is always more polite to give the lingo a go! A great camera – keen photographer or not, invest in a good quality camera to capture some of the best scenery in the world. Much of this kit is available from our travel kit partners at the Gap Year Travel Store. Oyster participants receive a 10% discount when buying products from Gap Year Travel Store. Obvious things are important too! 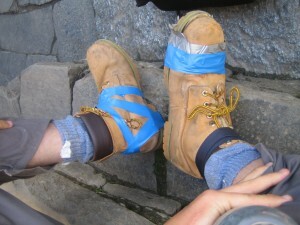 You need decent walking boots to avoid having to strap them up with gaffa tape! For more handy tips for your trekking adventure contact our Trekking Manager, Jon at [email protected] or visit our trekking website.